Most famous yacht cruise to Kalacha beach. It is a small beach located to the south of Querim beach. It is known for its sweet water lagoon. Kalacha beach is located 30 kms from Mapusa and 42 kms from Panaji. The beach has few shacks where one can find something to eat. To the north of the beach is a high hilltop which is a favorite spot amongst the tourists for parachute gliding and hang gliding. Often in the evenings, seeing a dozen parachute gliders in the air at the same time is not an uncommon sight here. Many tourists specially visit this place with their gliders. The parachute gliders can also be seen from the Tirakhol fort ramparts located a few kilometers to the north of the beach. The beach also has a fresh water lagoon at its northern end. 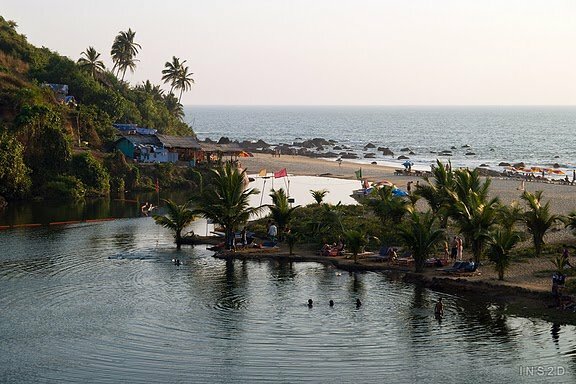 Kalacha is one of the most scenic amongst the beaches in North Goa. It is a best choice for honeymoon holidaying in Goa. A rocky path leads to the beach. One can find numerous stalls selling various merchandise such as handicrafts, beachwear and posters along this path.